"It’s Hispanic Heritage month and my Grandma just died this morning. What do those two facts have in common? My Grandma is Hispanic. She is my heritage. And I have no idea how I can ever fully thank her for what she’s done for me...Read the rest of the article on Fox News Latino here. 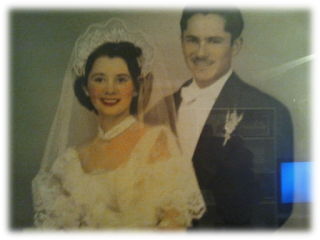 My grandma Isabel and my late grandpa Tito. When should you take an unpaid internship? Big news - quick tips video premiere!